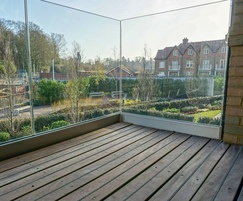 Berkeley homes specified a custom one strip non-slip Cumaru decking profile for the Taplow Riverside development. 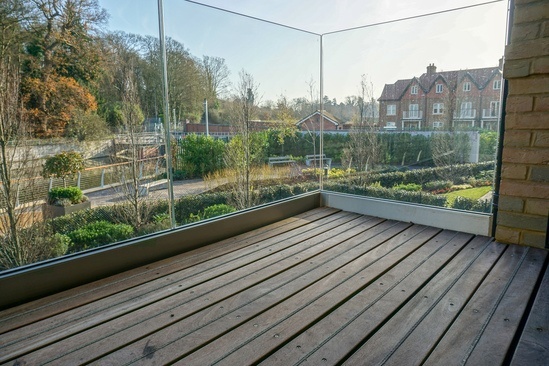 With a picturesque waterfront location along the River Thames and Jubilee River, Taplow Riverside offers a range of luxury homes and apartments. As is often the case with projects like this located near water, naturally durable timber such as Cumaru is required to ensure a long in service life that copes well with the surrounding environment. Cumaru is classified within BS EN 350-2 as Class 1 Very Durable with a 25+ year expected in service life. Gripsure’s Hardwood also carries a 10-year non-slip performance warranty ensuring safe use all year round for years to come. 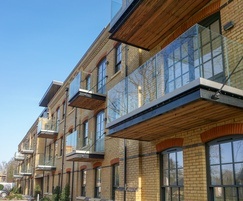 Over 10,000 linear meters of non-slip Cumaru decking was supplied to Taplow Riverside which was predominantly used for balconies on the Jubilee Wharf and Jubilee Mill Apartments. 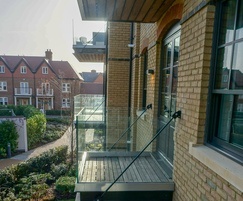 The remainder of non-slip decking was supplied for homes with private Thames moorings ensuring peace of mind in a damp environment with an attractive and durable non-slip finish.